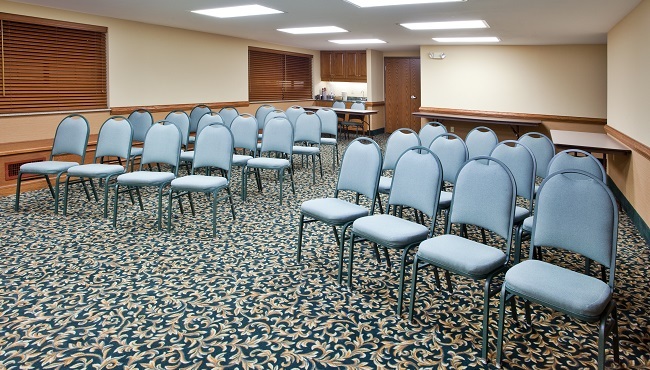 Located near Johnson City, the Country Inn & Suites offers an 856-square-foot meeting room for up to 45 guests in Jonesborough’s eye-catching historic district. Use our free high-speed Internet access with the projection screen or the flip chart and markers to deliver the style of presentation that suits your event. Your attendees can grab a snack at the wet bar between meeting sessions, and for longer breaks, they can check out the area’s major businesses and organizations, including Tennessee State University, Johnson City Medical Center, KOYO Corporation and Aerojet.